Payment options : MasterCard, Visa, MasterCard Secure Code, Verified by Visa, Bitcoin, Ethereum. Available languages : English, Polish, Vietnamese, Portuguese, Thai. Customer support : Live chat, email, phone, Twitter, Facebook, Instagram, FAQ. 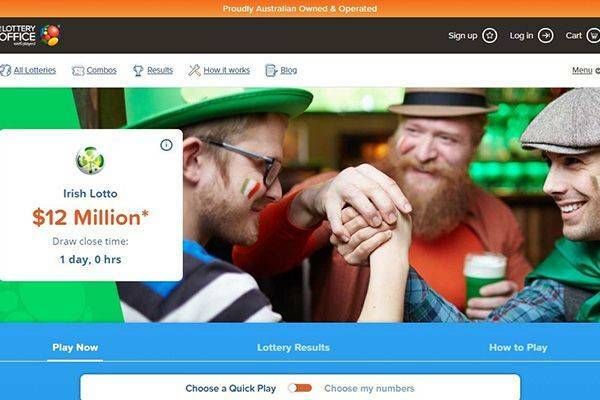 Australians seem to have hit the jackpot of late, with numerous online lottery sites open for business in Australia. 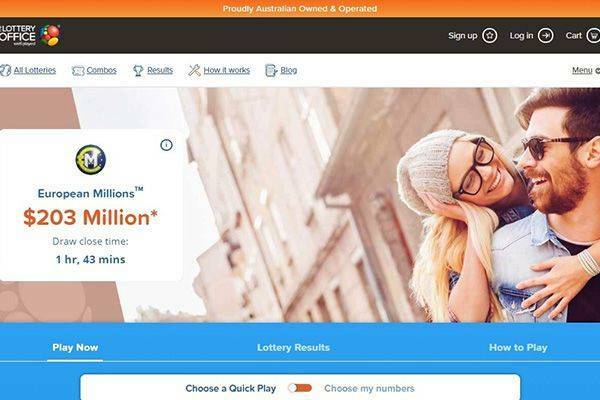 While there may be more and more lottery sites opening up for Australians, it is always important to ensure that the site that you want to play on is not only safe and secure, but also legitimately licensed and authorized to provide those services to you. Naturally not all websites will make this grade and reading reviews like this one will help you to know which ones to avoid and which ones you can spend your money on. 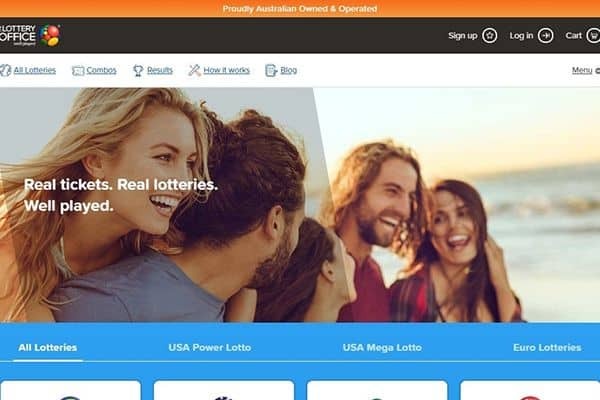 The Lottery Office is a great example of a top Australian online lottery ticket service that is not only safe and secure, but also officially licensed to provide online lottery ticket purchasing services to Australians. In this in-depth review of the Lottery Office, we take a much closer look at the various lottery games that are currently available through The Lottery Office. We also assess other key features including support, banking, licensing, safety and security, and of course, mobile access. 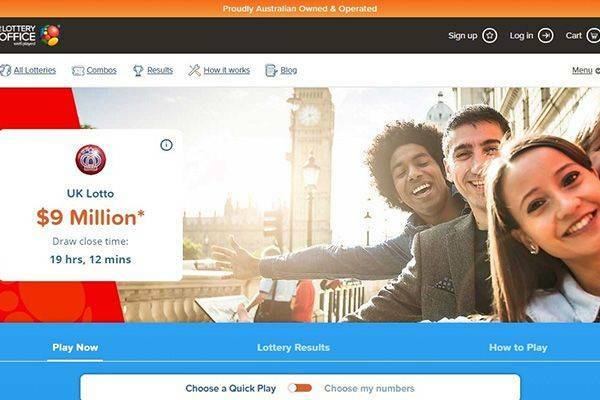 The Lottery Office website is every easy to use and comes with a range of convenient features. For starters, The Lottery Office does not provide betting on the outcome of various international lotteries. Rather, it works within a system where you as the customer purchase one or more tickets for a lottery game of your choosing, once submitted, the Lottery Office then purchase a matching ticket from that lottery game. Choose your game numbers and submit. The Lottery Office purchase a matching ticket in the overseas lottery. You are then issued with a Lottery Office ticket. If your lottery numbers match the drawn numbers The Lottery Office pay you the same amount as they collect from the matched overseas lottery ticket. There are a number of benefits to this system most notably that The Lottery Office does not need to follow the standard practice of including betting or insurance policies to cover prizes. This is because they are actually purchasing real tickets so there is always the right amount of money to cover the win. With some other online lottery sites, you are not purchasing the actual lottery tickets, you are merely betting on the outcome of them. With the Lottery Office, you get real lottery games where real tickets have been purchased on your behalf. The Lottery Office now participates in the massive USA Powerball lottery which happens to hold the world record jackpot of over $2 billion. The Lottery Office provides a convenient connection for non-US players to get a shot at this massive jackpot potential by purchasing a matching lottery ticket on your behalf. There are two massive draws each week and The Lottery Office does not increase their prices when the jackpot increases, which is nice. The USA Mega Millions Lottery is one of the most famous lottery games in the world with a minimum jackpot that starts at $50 million. The USA Mega Millions game is over twenty years old and is the second largest lottery game in the US. The record jackpot for US Mega Millions was over $880 million and the odds of winning any prize is around one in twenty four. The Lottery Office makes use of the very latest mobile web technology which allows them to automatically optimize your device to their website. In other words, if you prefer to purchase and participate in their lottery games on the go, you can do so with ease. Whether you prefer using an Android smartphone or tablet, an iOS-powered device, Windows Phone or Blackberry, accessing the websites features from virtually anywhere is effortless. One of the biggest benefits of a mobile responsive website, apart from not having to download an app, is that you get access to all the features including safe banking, customer support, current promotions and much more. Lottery Office promotions are fairly standard and include a nice refer a friend promotion. When you’ve made five referrals and each of those five referrals have made a purchase on the website, you can get up to $100 in referral fees which are more than enough to fund quite a few lottery ticket purchases. New players that register their details and take part in their first purchase can also benefit from a 100% refund on their first ticket purchase which they can use to fund more tickets. What’s more, players that use their refund to purchase more tickets can qualify for a 100% bonus. Lottery Office provides additional incentives such as an all-expenses paid trip to Australia including accommodation and flights. The Lottery Office offers more or less the same basic banking facilities as most good online lottery sites. However, they do offer a few more options than average and, aside from the standard Visa and MasterCard credit card options, also offer fast eWallets like Skrill and Neteller. Deposits are available instantly and withdrawals take the standard time depending on the chosen method. Withdrawal options include both Skrill and Neteller as well as bank transfer directly to your bank account. In order to start using the Lottery Office services, you will need to first create an account with them, which only takes a few minutes to complete. Once that’s done, you can add credits via your preferred payment option with $5 being the current minimum deposit amount. The Lottery Office does not add any additional processing fees to their banking services. The quality of the customer support that is available through The Lottery Office is exceptional and superior to many other similar online lottery sites. One of the highlights at The Lottery Office in terms of customer support is their incredibly thorough and well-organised FAQ or Frequently Asked Questions section. This resource is a boon for new members who can find out everything they need just from browsing through the FAQ’s. Subjects covered includes how to get started with your first game, how to make your first deposit, where to find your results, how to manage your account and much more. The website also facilitates instant support through a 24/7 live chat facility, email support and phone support. Is The Lottery Office legit or fraud? The Lottery Office has been successfully operating on the web for close to two decades without any major incidents which shows adequately that they are not a fraudulent site. 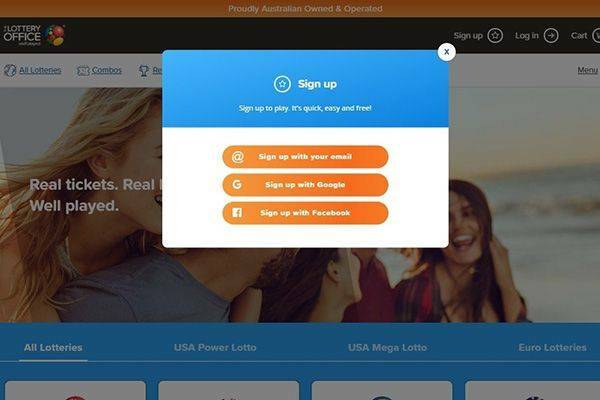 In addition to their excellent track record, The Lottery Office, which is owned and operated by Global Players Network Pty Ltd, is licensed to promote various lottery products internationally and holds both a Mail Order Lotteries Licence and an Internet Gaming Licence issued by the Northern Territory Government of Australia. 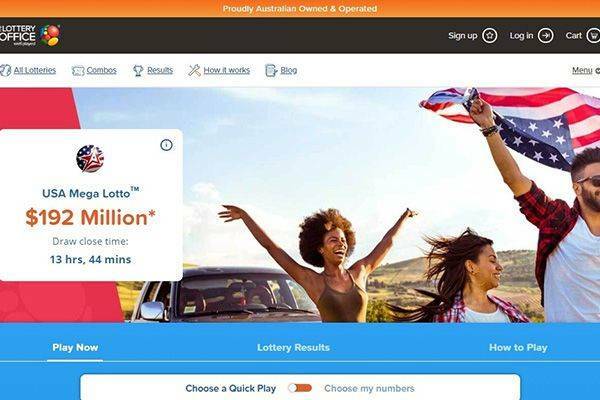 The Lottery Office is a great online lottery option for those that prefer to purchase actual entries into international lotteries and not bet on the outcome of lottery results. In addition to offering a fair number of big international lotteries, you can enjoy solid customer support, decent banking options and some good promotions, at home or on the go. Licensed and regulated by Northern Territory Government of Australia. Wide range of lottery games to choose from. Play in AUD from your desktop or mobile device. Easy to use safe and secure website.